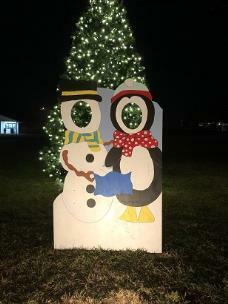 Ringgold’s Down Home Christmas events will kickoff this weekend with the annual Christmas Parade Friday night and other activities taking place over the next two weekends. In addition the parade along Nashville Street, the festivities will also include the Down Home Christmas Expo taking place at the historic Depot Saturday and Sunday, and the Down Home Christmas Sleigh Rides along the Nature Trail this Saturday and Sunday and Dec. 14-15. The events will be staggered Friday night, with the Expo opening up at the Depot at 5 p.m., the parade beginning at 6 p.m., and the sleigh rides beginning immediately after the parade ends. The Expo will run from 5-9 p.m. with vendors, crafts and food. The Nature Trail Sleigh Rides, which will run from 6-9 p.m., will include a trailer (decorated as a sleigh) ride from Ringgold City Hall down through the lighted Nature Trail to the Kiwanis Barn at the ball fields. 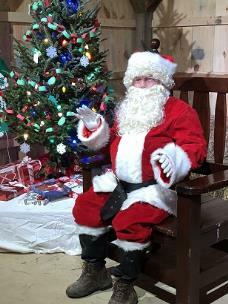 At the barn, folks will get the chance to visit with Santa Claus, arrange photo opportunities and enjoy concessions. The cost is $3 for the sleigh rides, but all other events during Down Home Christmas are free. More information about the events can be found by calling Ringgold City Hall at 706-935-3061.